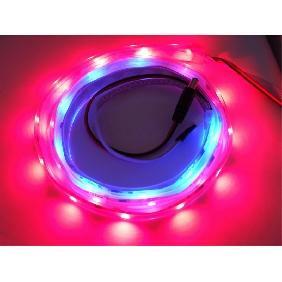 This dream color led light has 83 different changing patterns and speeds, great to use in home, garden office and shops decoration etc. 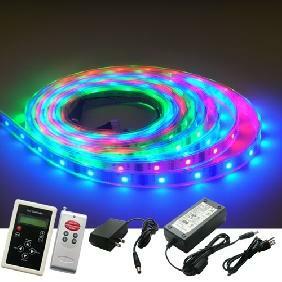 To make this led strip work, it also come with a dream color remote controller, a 5V 8A Power Supply for the controller. 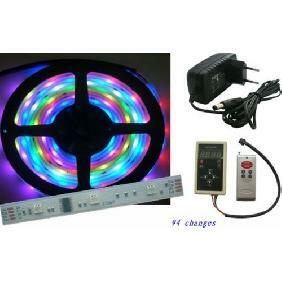 Magic color controller suitable for SPI signal direct drive LED applications; With 256 * 256 * 256 level gray, length setting function and power off memory function, built-in a variety of patterns to choose, and can through the RF remote control to adjust all kinds of dynamic lighting change effect. 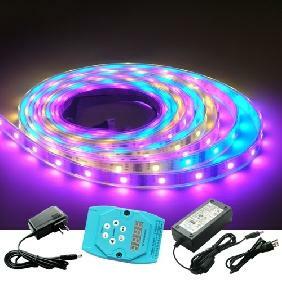 Can be applied to light box advertising, the stage, home decoration, etc. But this controller belong to upgrade edition, can support ten different IC strip, support the strip line sequence switch function, at the same time support the maximum pixel points is 2048. 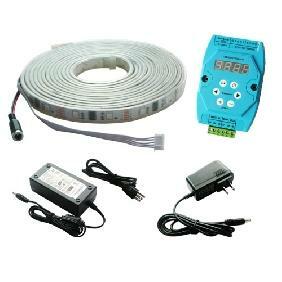 Adopt conventional DC power socket as power input interface, input voltage is 5-24V. data port, CLK connect clock port. Speed-down button, dynamic model (8- 83) are effective, there are 100 steps in all. Speed up button, dynamic model (8- 83) are effective. B-: Program choosing button, down choice. Press key again, screen up rank shows"IC Type:", down rank information means the current support IC type, through key can choose the corresponding type. Press key again, screen up rank shows"Led Sequence:", down rank information means strip RGB line sequence, because in the market, a lot of strips specification are different, some the sequence is RGB, some is RBG,GRB and so on, so this controller provide the RGB line sequence modify. 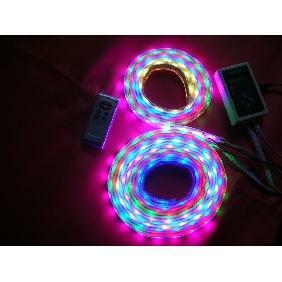 Through key can choose the corresponding RGB line sequence. If the strip have 2 signal line, then need to connect the ground line, clock line, data line with controller V-、CLK、DATA; if the strip have 1 signal line, then need to connect the ground line, data line with controller V-、DATA is OK. Note: If the Strip V+ port voltage is the same with controller input voltage, then you can direct connect it with controller V+ port, if it is different, then need to connect to other power supply. 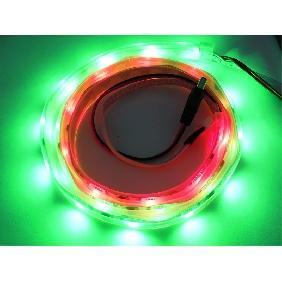 4m WS2811 5050 RGB LED Strip Individual Addressable Dream Color Light 83 Changes Rating: 4 out of 5 based on 1 reviews.